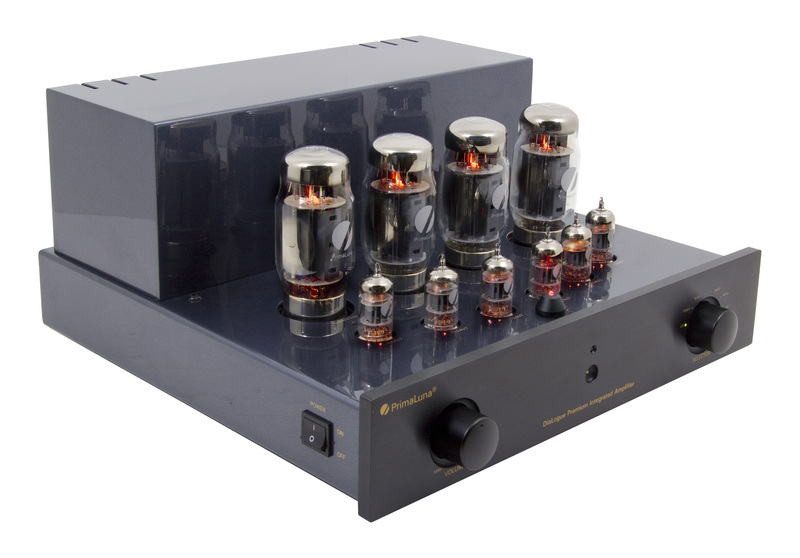 Almost forgot to describe one of the most obvious changes in the DiaLogue Premium design … the use of 6 x 12au7 tubes …. Lots to tell you about this. So far we have used one 12AU7 tube per channel as phase shifter and driver for the power tubes. In this situation each leg of the push-pull output stage is driven by only one triode. That configuration is powerful enough to reasonably drive 1 – 2 power tubes. But … It is a known fact that an output stage benefits greatly from a “powerful” drive. The stronger the better, although there are limits to this of course. The extra 12AU7 tube in this new Dialogue Premium design allows for a far more powerful driver stage. Suddenly we can use now for each half of the power amp one full 12AU7, and the two triodes in this tube can be put in parallel. This reduces the impedance of the driver stage by half. 3. The linearity of the power stage is further increased, which results again in a reduction of the dynamic distortion of the amplifier. Less phase-shift in the extreme high frequency range, reason why the amp is more stable and the harmonics of the instruments are reproduced in a more accurate way. The amplifier has less phase-shift in the extreme low frequency range, so the amp can supply more energy and deliver a tighter bass. The feedback has less phase-shift to compensate, which makes again the amplifier more stable. 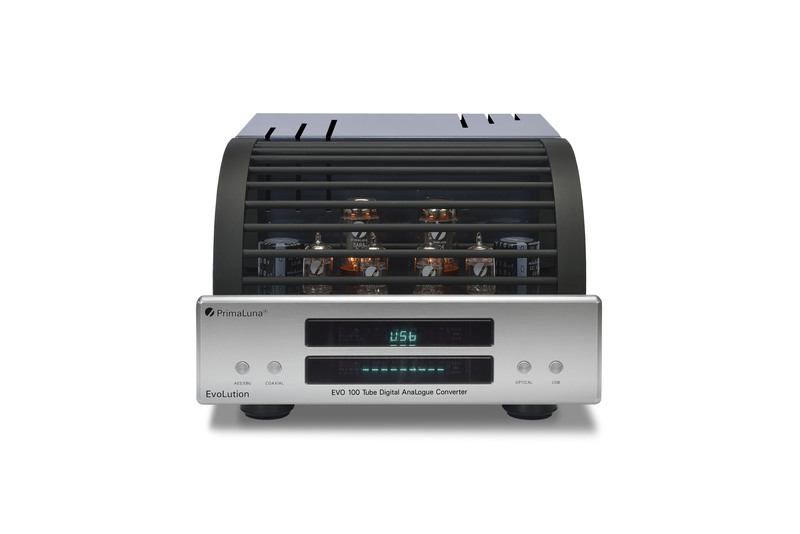 The power tubes are driven with more control, which results in a more dynamic stable output signal. The static distortion, as measured with a tone on a distortion meter, will not decline significantly. Just a little. But the dynamic distortion, which the human ear perceives as unpleasant distortion, is significantly reduced. It makes the amp sound cleaner. This entry was posted in DiaLogue Premium. Bookmark the permalink. I could have sworn that I saw a power rating somewhere in the posts. But for the life of me I can’t find it. Can you restate what is probably right in front of me somewhere? As well as when the US market will get it, and the approximate US price. I will add powers specs soon to the blog, but you can say between 35 and 45 Watts depending what tube used. These powerratings don’t say the full truth as you might think “not more” while in most cases a PrimaLuna amp is powerfull enough to drive most speakers. The Integrated is supposed to land in USA end of May. 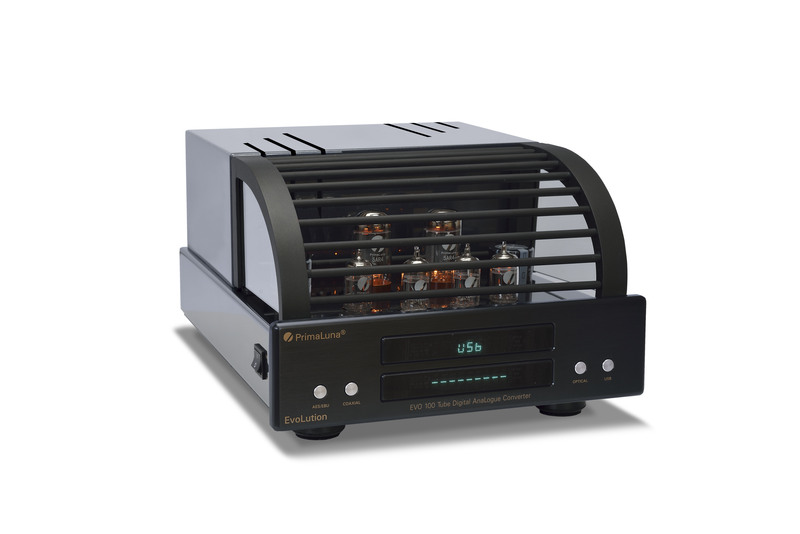 Retail will start at US $ 3249.- with EL34 tubes. nice to meet You again over the net. That’s a long time ago :-). Nice seeing you again. And this very same text is now already for 10 years on the backside of all PrimaLuna manuals printed! Hi Herman- it seems the stupid doctors have decided it’s time to stamp a “use by” date on my body, giving me a rather meager shelf life. I currently am saturating myself with all forms of music in this race against time. It all sounds killer; from Imogean Heap to Miles Davis, Terge Rypdal to the Kronos Quartet. I am using a PrimaLuna tandem of their Classic tube CD player, feeding a DiaLogue Premium integrated amp, fitted with matched Tungsol K120’s, driving a pair of Martin Logan EM-ESL electrostatic hybrids, supplemented with a pair of “top of the line” SVS 13.5″ Sealed Subwoofers. My question: Is there another set of tube configurations that will surprise and delight me? And Herman, as you know, I must insist on being surprised and delighted. Thanking you for any of your always measured and thoughful suggestions …. Wich Amp do you use? The middle two 12AU7 tubes in the front row are the most sensitive. We are happy to hear you like our information.